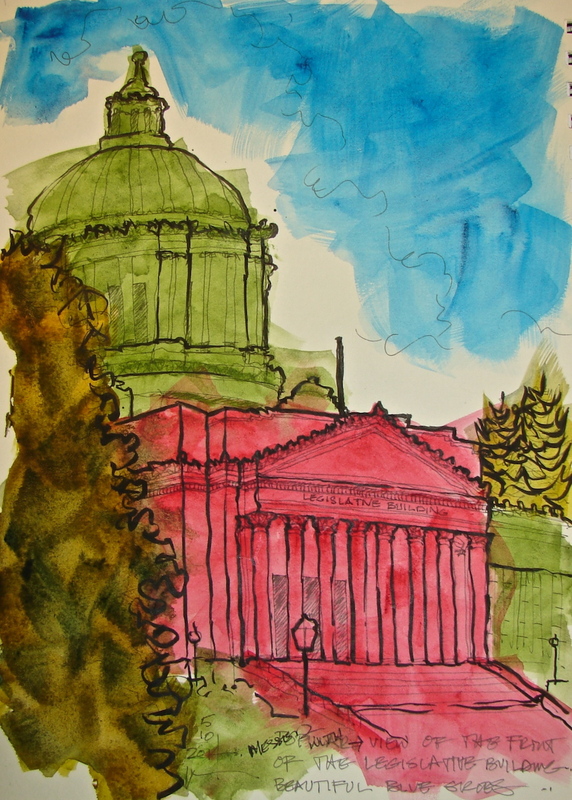 A quick sketch gone crazy with color of the Washington Legislative Building! 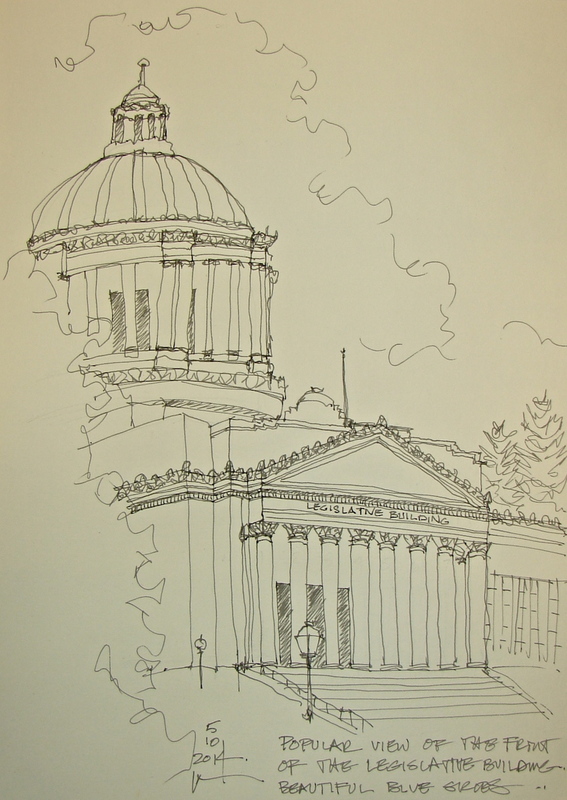 It started with a popular view of the Washington State Capitol Legislative Building. sketched in early October while we were working in the building. It’s a wonky sketch, but a nice sketch. I found it boring. I wanted to play with the forms. In my studio I added the watercolor. Now I like it. I wish I had an image halfway through to show you! Daniel Smith + Sennelier watercolors then Pitt pen to bold it . . . This entry was posted in architecture, history and tagged Washing State Legislative Building, Washington State Capitol. Bookmark the permalink.